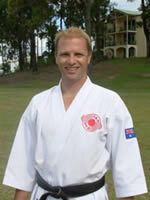 Michael Noonan Sensei is the Honbucho (Chief Instructor) of Chito-Ryu in Australia. He began his training in 1980 as a student of Bill Ker Sensei. Since his first visit to Japan in 1985 as a Shodan, he has been greatly influenced by in his training and life by Soke Sensei. In his early years of training Noonan Sensei spent much time training with Steve Davison Sensei and Charlie Kudlic Sensei. Martin Phillips Sensei began training in 1984 as a student of Brian Hayes Sensei in Newcastle and also taught Chito-Ryu in various dojos in Newcastle until 1999. In 1997-98, Phillips Sensei spent a year full-time, teaching and training at the International Chito-Ryu Headquarters at the invitation of Soke Sensei, an experience which continues to shape his training and teaching. In 2000 Phillips Sensei moved up to the Sunshine Coast where with his soon to be wife established Chito-Ryu's first Queensland dojo in Maroochydore. He continues his training under the guidance of Noonan Sensei and Soke Sensei, currently in the position of Sohonbu Representative and Regional Head Instructor for the South East Queensland Region. Phillips Sensei competed in many AKF Tournaments (all styles) at State, National and International levels, including the 1994 & 96 WKF World Championships. He has also represented Australia at the International Chito-Ryu Karate Championship known as the Soke Cup many time (1989, 92, 95, 98 & 04), placing in both kata and kumite in many occasions. Mark Snow Sensei began his training with Crhis Brown Sensei as a young boy for a period a time, then stopped training for a period of time and re-commenced in 1984 as a student of Dave Hawken Sensei and Andrew Connolly Sensei in the Lithgow Dojo. Snow Sensei has visited the International Chito-Ryu Headquarters many times since 1994 and continues to be guided and influenced greatly by Soke Sensei. Snow Sensei has held various executive positions over the years including President for 5 Years, which was a great honour. Snow Sensei is the Regional Head Instructor for the Blue Mountains and Western Regional NSW and a Sohonbu Representative. 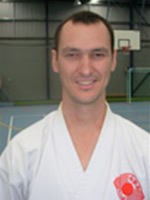 He currently has the responsibility of teaching Chito-Ryu Karate at the Katoomba Dojo, Lithgow Dojo and Bathurst Dojo. The 30th Anniversary of Lithgow Dojo was celebrated in 2006 with the official opening of the Blue Mountains Karate Academy, a full time training facility in Lithgow, by Sensei Chris Brown, the founder of Chito-Ryu Karate in Lithgow. learning communities with Chito-Ryu Karate-Do. Sandra Phillips Sensei has been studying Chito-Ryu Karate since 1990 as a student of Brian Hayes Sensei in Newcastle. Phillips Sensei competed in AKF at State and National levels, placing on many occasions. Sandra has also represented Australia at the International Chito-Ryu Karate Championship known as the Soke Cup in 1995, 98, 01 & 04, placing in both kata and kumite on many occasions. In 2000 Phillips Sensei moved up to the Sunshine Coast where with her soon to be husband established Chito-Ryu's first Queensland dojo in Maroochydore. 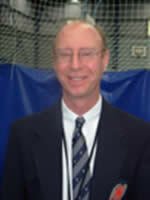 Phillips Sensei is currently the ICKFA national coach and has been developing ground breaking programs and resources to help elite competitors achieve at the highest level. Greg Field Sensei began training in 1986 as a student of Brian Hayes Sensei in Newcastle and has taught Chito-Ryu at various dojos in Newcastle since 1992. 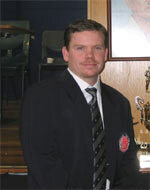 He held the position of Vice President for four years and currently holds the position of Chief Referee. Field Sensei continues to develop his martial arts under the guidance of Mike Noonan Sensei through regular visits to the Tasseikan Dojo in Sydney. Field Sensei is also greatly influenced by his training and guidance from Soke Sensei. Field Sensei has participated in many seminars with Soke Sensei and Tanaka Sensei and has also received personal instruction from these Senseis. He is dedicated towards the promotion of Chito-Ryu karate in the Newcastle area and Australia, and is committed to assisting the students of Chito-Ryu develop their martial arts and life skills. Shane Ker Sensei began training under his father and President/Honbucho of Chito-Ryu Australia Bill Ker Sensei in 1978 at the age of 5. After training till 1990 and obtaining 1st Kyu Shane had 10 years away from training and it was in that time that Shane realised that he wanted Chito-Ryu to be a major part of his life. As such Shane returned to train under Noonan-Sensei at Tasseikan Dojo Oatley to this day and under the teaching of Noonan-Sensei has been able to acheive the level of Ni-Dan and Jun-Shidoin and is now training hard for his next level of San-Dan. Shane has travelled to the Japan to train at the Sohonbu Dojo and the attend the 60th Anniversary of Chito-Ryu. He has also competed in the Soke Cup Norway and numerous Australian Chito-Ryu Tournaments. Shane is also committed to growing Chito-Ryu in the Sydney area under the guidance of Noonan-Sensei. 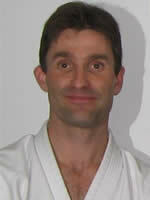 Adam Higgins Sensei began training in the martial arts in 1992. In 1996 he commenced training in Chito-Ryu as a student of Brian Hayes Sensei, the then honbucho (chief instructor). During this period Sensei Adam gained the rank of Shodan in Chito-Ryu Karate, and Shodan in Matayoshi Kobudo (A traditional Okinawan weapons system). He also gained experience teaching both seniors and juniors in Chito-Ryu karate, Matayoshi Kobudo, and kumite for sports karate. In the competition arena Higgins Sensei has competed at both a national and international level, the highlight being winning a silver medal at the 1998 Soke Cup in Canada as part of the Australian kumite team. He has also been a member of the New South Wales karate team at the Australian Karate Federation (AKF) national titles. 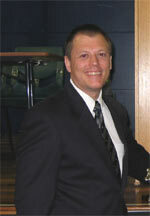 His competitive focus is now on coaching students to obtain their full potential. Higgins Sensei continues to develop his martial arts under the guidance of Martin Phillips Sensei through regular visits to the Sunshine Coast dojo. He is dedicated towards the promotion of Chito-Ryu karate throughout the Gold Coast and Australia, and is committed to assisting the students of Chito-Ryu develop their martial arts and life skills. 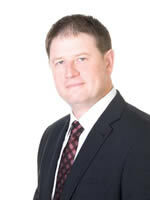 In 2008, Craig Cox Senssei moved to Tokyo where he currently resides. 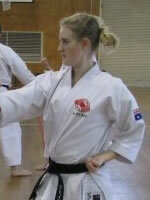 Viktoria Crouch-Reeves Sensei began training in 1999 as a student of Brian Hayes Sensei and has been a student of Greg Field Sensei since 2005. She regularly visits the Tasseikan Dojo to train with Noonan Sensei and has participated in numerous seminars with Soke Sensei and Tanaka Sensei. Crouch-Reeves Sensei has competed in AKF Tournaments at State and National levels. She has also represented Australia at the International Chito-Ryu Karate Championships known as the Soke Cup in 2004 & 2007. 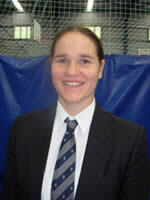 At the 2007 Soke Cup in Norway she was awarded a silver medal in both kata and kumite.